56/3 has produced some of the best females on the ranch, most becoming show heifers. This bull was a long bodied beef machine. He was masculine, structurally correct, and has an excellent top line. He breeds tremendous eye appeal and American Brahman breed character. 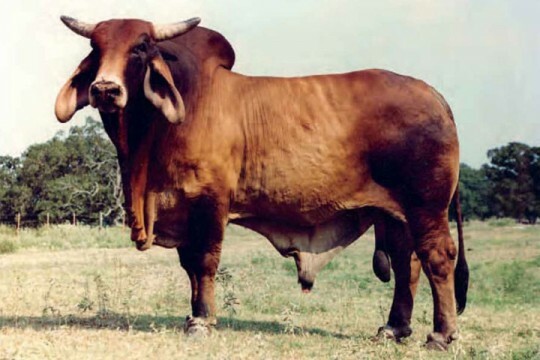 He was a beef bull and has been a favorite of many prominent cattlemen. 56/3 is a bull that we recommend very highly for his fertility trait. 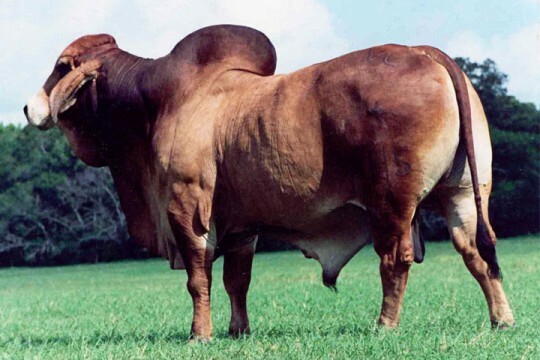 Additionally, he will add muscle and the much desired deep red color into your cattle, along with the all-important trait of mothering ability into your females.